Besides the main statement of Culture as worship of Light as synthesis of religion, art and science as well as continuity of the best human achievements we found in the formed system of cultural and educational ideas such notions as Beauty which goes back to the ancient principle of unity of ethic and esthetic aspects, “calogathy” of the Antiquity; Art which is interwoven with spiritual and moral ideals able to unite the mankind; School as “enlightening preparation to life labour”; Teacher as the Teacher of life, Museum as Museon, the temple of Muses and many other. All these statement were creatively interpreted by the Roerichs and successfully put in life. “I used to encounter our students in many countries. According to their mood and memories I see that the past was heartily appreciated. We had a publishing house, exhibitions, lectures and talks and many workshops… We had interview and counseling on various issues of art and pedagogical science. We had a Museum…” – Roerich recalled in 1936. The central role in the system of pedagogical principles of N. and E. Roerichs is played by spiritual and moral issues: education of the heart, feelings, strife for the deed. The process puts a particular emphasis on breeding love to the Birthplace. “To love the Birthplace one should cognize it” – Nicholas Roerich wrote in his Testament in 1939. 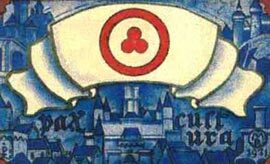 It is impossible to state even briefly all the components of this truly enormous cultural and education system which core was defined by Elena Roerich “Spirituality, Deed, Beauty – this trinity encompasses everything”. Paying attention of the children and youngsters the Roerichs, however, did not put age limits to the participants of cultural and educational process considering that a person should live in the process of life-long learning and self-education: “any education is beyond the age”.